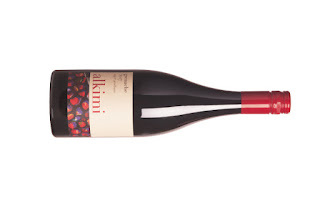 A lip smacking Grenache with a kiss of savoury goodness partnering juicy fruit. Yummo! From a 35-year-old Upper Goulburn vineyard perched 250 metres above. Five percent whole bunches were used. Bottled unfiltered and unlined. A little cloudy (I dig the funk), but the fruit is vibrant and enticing. Lots of red things - cherries, raspberry coulis, rhubarb and berries. Subtle earthiness is framed by dried Mediterranean herbs and a dusting of black pepper. Ideal for a range of foods but the versatility cranks up a gear if popped in the fridge for ten minutes on warmer days.